~ YOUR LOCAL PREMIER FULL SERVICE BOSTON MA FLORIST ~SERVING SURROUNDING BOSTON, MA AREAS. YOUR FRIENDLY NEIGHBORHOOD FLORIST FOR OVER 36 YEARS! LOCAL BRIGHTON MA FULL SERVICE FLORIST-- SERVING ALL SURROUNDING AREAS! SATISFACTION GUARANTEED! ORDER ON LINE 24/7 ON OUR WEBSITE! Buy flowers from your local Somerville, MA Florist! Chelsea, MA Flower Shop with daily delivery to Boston, East Boston, Everett, Malden, Medoford, Melrose, Revere, Saugus, Somerville Winthrop & more! We are the South Shore’s premier flower shop. Our arrangements strive for a delicate balance between art and nature. LOCAL DORCHESTER CENTER, MA FULL SERVICE FLORIST. SERVING CHAPMAN, COLE AND GLEASON FUNERAL HOMES. DAILY DELIVERY TO BRIDGEWATER STATE UNIVERSITY. 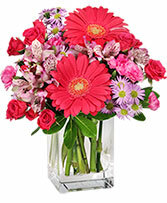 Secretary & Administrative Professional's Day is Apr 24th, 2019 and to show appreciation for their hard work and dedication, send flowers from your local Boston, MA florist. Show love and gratitude on Mother's Day, May 12th, 2019 by sending your Mom flowers from your local Boston, MA florist. Please order early for best results! 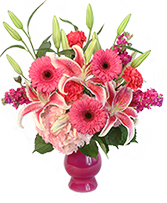 Brighten Dad's desk at home or the office with flowers or plants from your Boston, MA local florist this Father's Day, Jun 16th, 2019. Remember your grandparents in a special way this Grandparents Day, Sep 8th, 2019. 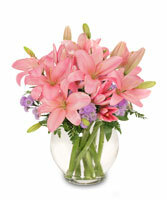 Lift their spirits with flowers from your local Boston, MA florist. Celebrate Halloween, Oct 31st, 2019 with all your favorite ghosts and goblins by surprising them with flowers from your local Boston, MA florist. Send warm smiles from across the miles this Thanksgiving Nov 28th, 2019 with flowers from your local Boston, MA florist. Celebrate the miracle of Hanukkah and the Festival of Lights, with flowers from your local Boston, MA florist. Call your local Boston, MA florist and send a gift of flowers along with warm holiday wishes for Christmas, Dec 25th, 2019. Let your Sweetheart know how much you love them on Valentine's Day, Feb 14th, 2020 by sending flowers from your local Boston, MA florist this year! 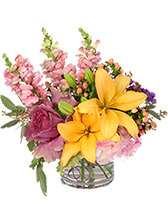 Celebrate the beauty of springtime this Easter, Apr 12th, 2020 with a gift of flowers from your local Boston, MA florist. 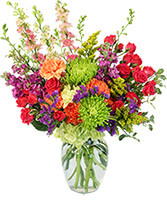 Secretary & Administrative Professional's Day is Apr 22nd, 2020 and to show appreciation for their hard work and dedication, send flowers from your local Boston, MA florist. 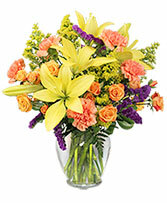 Send Admin Professionals Day Flowers in Boston. Click and let us find a real local Boston florist for you! 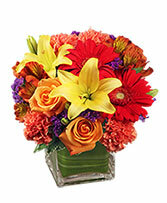 Make Your Flower Delivery Go Smoothly! Make sure that you have all the data the florist will need--recipient name, business name, address, phone number, and any special times for delivery. Know what you want your card message to say--most flower shops have someone experienced enough to help you write something perfect to go with your flowers, but having an idea before you call will save you lots of time. If you plan to send flowers to a hospital, have the name and address ready. If you know of any restrictions for flower delivery (in case the recipient is in a restricted area, for example), let the florist know. When you send flowers to a funeral home, have the name, address ready. 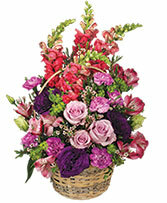 If there are certain viewing times that will affect the flower delivery, let the florist know. 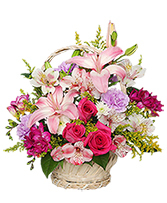 When working with a florist near Boston and you need flowers delivered within the city limits, make sure that you ask the florist if they can make it to Boston on the day you need to send flowers and that the florist goes to your Boston postal codes. Let the Boston florist you connect with know you found them on Flower Shop Network!